The Tonight Show host isn't the only who's noticed Carell's new status as a silver fox. By Lily Rugo·	 6/28/2017, 12:33 p.m.
Could the next Sexiest Man Alive be Concord’s own Steve Carell? If Jimmy Fallon is to be believed, Carell could be well on his way. 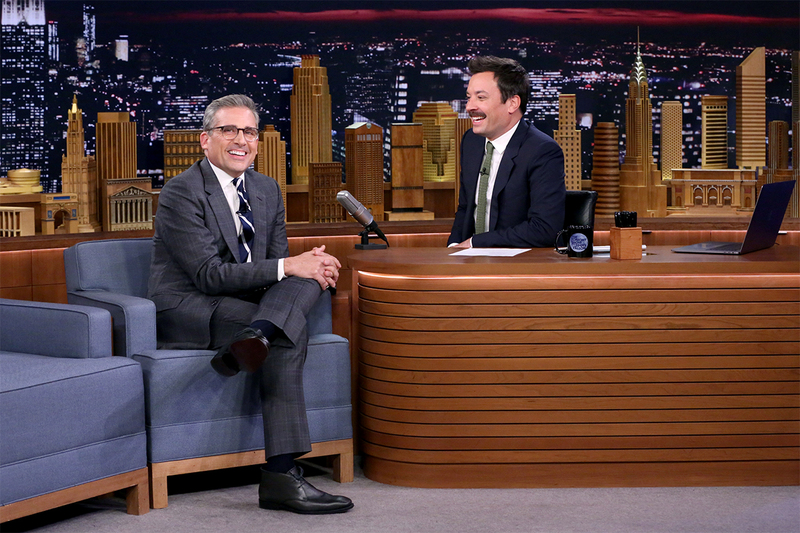 Last night Carell stopped by the Tonight Show to promote Despicable Me 3, and the host congratulated him on the number of headlines appreciating his seemingly newfound good looks. From Glamour to Cosmopolitan to Buzzfeed, the internet has recently fallen in love with the actor after someone tweeted photos of him in Los Angeles. From there the hype only escalated, and Jimmy Fallon loved it. The two talked about the special silver fox meetings Carell is now invited to (he got a bracelet that says “Steve” on one side, and “Hunk of man meat” on the other) and how after all this Carell’s wife “finally said she’s in love with me.” After a bit of joking about his new status as an official “stud muffin,” Fallon and Carell talked about their past work on the Dana Carvey Show and terrible audition impressions. Watch the full clip of the interview below.